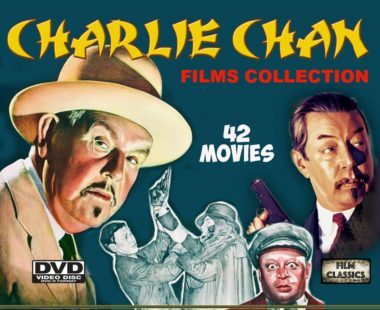 The character of Charlie Chan was created by Earl Derr Biggers. In 1919, while visiting Hawaii, Biggers planned a detective novel to be called The House Without a Key. He did not begin to write that novel until four years later, however, when he was inspired to add a Chinese-American police officer to the plot after reading in a newspaper of Chang Apana and Lee Fook, two detectives on the Honolulu police force. Biggers, who disliked the Yellow Peril stereotypes he found when he came to California, explicitly conceived of the character as an alternative: “Sinister and wicked Chinese are old stuff, but an amiable Chinese on the side of law and order has never been used. In 1931 Warner Oland began starring as Charlie Chan. Oland starred in sixteen Chan films for Fox, often with Keye Luke, who played Chan’s “Number One Son”, Lee Chan. Oland’s “warmth and gentle humor” helped make the character and films popular; the Oland Chan films were among Fox’s most successful. By attracting “major audiences and box-office grosses on a par with A’s” they “kept Fox afloat” during the Great Depression. Oland died in 1938, and the Chan film, Charlie Chan at the Ringside, was rewritten with additional footage as Mr. Moto’s Gamble, an entry in the Mr. Moto series, another contemporary series featuring an East Asian protagonist; Luke appeared as Lee Chan, not only in already shot footage but also in scenes with Moto actor Peter Lorre. Fox hired another white actor, Sidney Toler, to play Charlie Chan, and produced eleven Chan films through 1942. When Fox decided to produce no further Chan films, Sidney Toler purchased the film rights. Producers Philip N. Krasne and James S. Burkett of Monogram Pictures produced and released further Chan films, starring Toler. films (1944–1949) Black comedic actor Mantan Moreland played chauffeur Birmingham Brown in 13 films (1944–1949) which led to criticism of the Monogram films in the forties and since; some call his performances “brilliant comic turns”, while others describe Moreland’s roles as an offensive and embarrassing stereotype. Toler died in 1947 and was succeeded by Roland Winters for six films. Keye Luke, missing from the series after 1938’s Mr. Moto rework, returned as Charlie’s son in the last two entries. The most complete Charlie Chan movie collection I’ve ever seen. Not perfect, but very good.